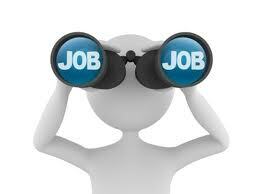 Find site planner career job description sample (ex. 10), position duties, work roles and responsibilities example. For related employment contract sample click here. 1) Plans and designs development of land areas for projects, like parks other recreational facilities, airports, highways, and parkways, hospitals, schools, land subdivisions, and commercial, industrial, and residential sites. 2) Confers with clients, engineering personnel and Architects profess. kin. on overall program. 3) Compiles & analyzes data on such site conditions as geographic location; soil, vegetation and rock features; drainage; and location of structures for preparation of environmental impact report development of landscaping plans. 4) Prepares site plans, working drawings, specifications, and cost estimates for land development, showing ground contours, vegetation, locations of structures, and such facilities as roads, walks, parking areas, fences, walls, and utilities, coordinating arrangement of existing and proposed land features structures. 5) Inspects construction work in progress to make sure compliance with landscape specifications, to approve quality of materials and work, and to advise client construction personnel on landscape features. 6) May be designated according to project as Highway-Landscape Architect profess. and kin. ; Park-Landscape Architect profess. kin. ..
* Other work duties may be described based on the business/industry needs from - site planner - position.